For the 129 years of HIAS’s existence, the dreams and aspirations of refugees—and the threats they face—have remained much the same. One significant change, however, has been the layer that digital technology has added, a layer that offers hope in improving how HIAS delivers its mission, but also creates potential obstacles and abuses for those it seeks to help. 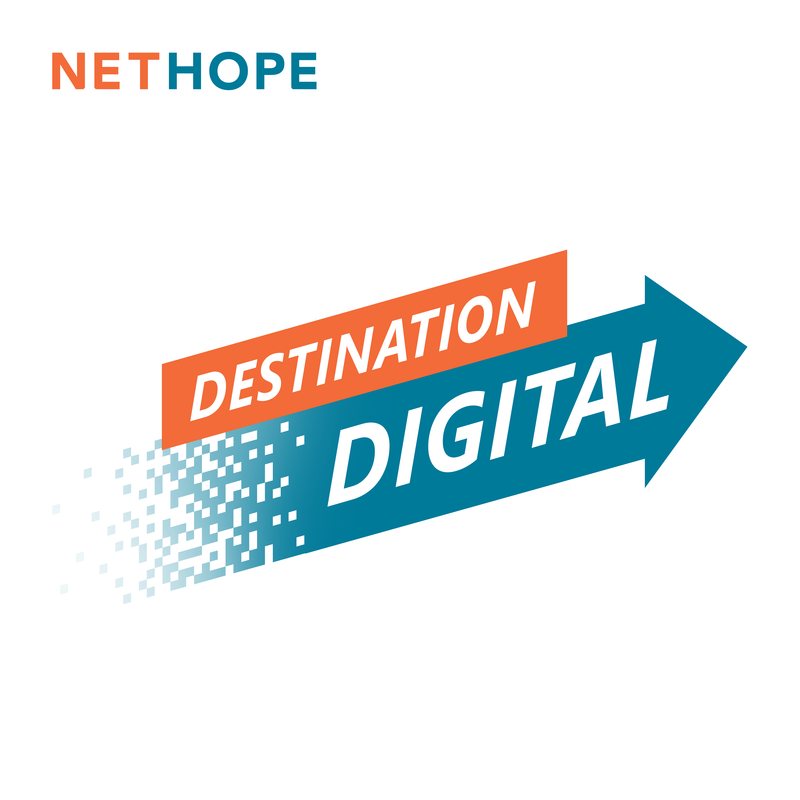 Listen to the Destination Digital podcast wherever fine podcasts are found. Mark Hetfield, HIAS CEO, knows the opportunities and the challenges presented by digital transformation first hand. So, it was perhaps fitting that on World Refugee Day on June 20, 2018, NetHope CEO Lauren Woodman interviewed Hetfield for NetHope’s new Destination Digital podcast. During this fascinating interview, Woodman learned some remarkable things not only about HIAS’s 100+ year history of helping refugees, but also its more recent journey navigating digital transformation. But transforming such an established organization is not without its challenges. Even with a workforce largely built of millennials, there exists a large gap between digital knowledge and how it translates into efficient workflow over the organization. To work toward that transformation, HIAS was one of the first participants in IDEA (Imagine, Design, Execute, Assess), a broad umbrella for digital transformation processes offered to NetHope members through The Center for the Digital Nonprofit. The first IDEA implementation pilot is based on Dream, Design, Deliver, a social impact accelerator developed by Microsoft. These three-day sessions helped HIAS put into action the gaps they discovered after taking the Digital Nonprofit Ability™ Assessment and resulted in a Dream Book. For the first time, the DNA gave participating NetHope member organizations the opportunity to see how they compared against benchmarks on the digital continuum, with six discrete measurements built around Readiness, People, Process, Technology, Data, and Investment. Hetfield and Woodman discuss this process that gave HIAS the opportunity to re-imagine itself as a digitally transformed organization that, as Hetfield stresses, uses the technology to accelerate the mission itself, not just on the operational side, but to be a critical part of the service delivery that it is focused on. 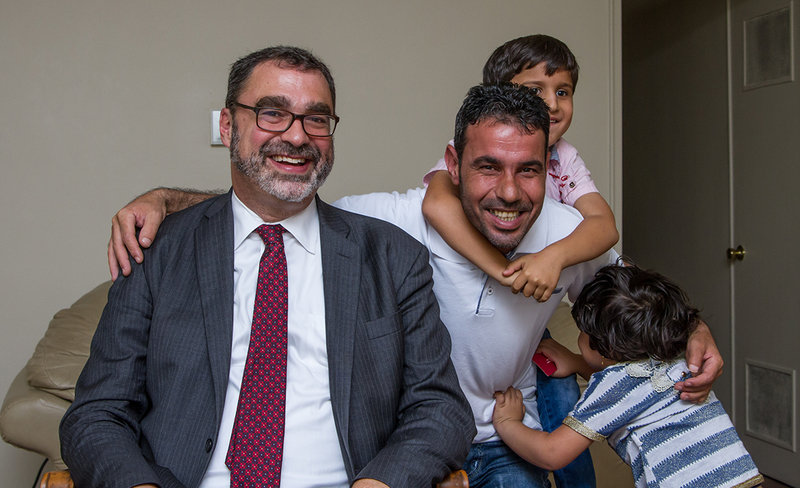 Mark Hetfield, an attorney with 28 years of public, private, and charitable sector experience in the refugee field, is President & CEO of HIAS, the world’s oldest organization dedicated to refugees (founded in 1881 as the Hebrew Immigrant Aid Society). A global agency guided by Jewish values assisting refugees of all faiths and ethnicities, HIAS works in partnership with the UN High Commissioner for Refugees, the US government and the government of Canada. Under Hetfield’s leadership, HIAS was the only refugee resettlement agency to file a court challenge against the Trump Administration’s Muslim and refugee ban. In 2016, Hetfield was named to theForward 50 by America’s leading Jewish newspaper, as one of the 50 Jews with the greatest impact on American life. A frequent commentator on refugee issues in major media, Hetfield holds a Bachelor of Science in Foreign Service and a Juris Doctor from Georgetown University.